Larvikite pendant necklace - wire wrapped natural grey stone with purple beads on purple ribbon necklace. A round larvikite stone is wire wrapped with purple glass bicone beads and spiral detail to make a gorgeous pendant. 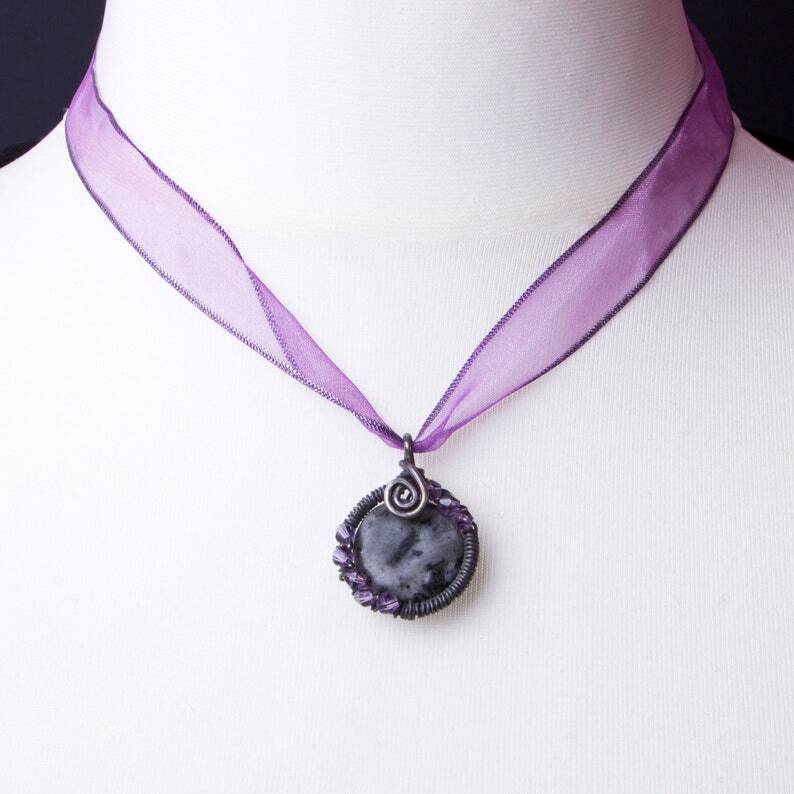 This hangs from a purple ribbon necklace with lobster clasp. The wire is oxidised to a dark colour. Larvikite is also often called 'dark moonstone' or 'black labradorite'. The ribbon necklace is approximately 18 inches long. Oxidised wire colour may change over time depending on wear and skin acidity. Handmade, in stock and ready to ship.